any other way? That’s right – REAL ESTATE INVESTING! Investors Edge University is dedicated to your success! 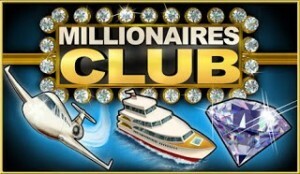 WE MAKE MILLIONAIRES…AND LOTS OF THEM! Keep coming back to Investors Edge University to see more successful students and to watch some fantastic training videos. Take a few minutes to check out our site. We have hundreds of Foreclosure Beat articles to educate you, we have a ton of student testimonials, we have free programs, and we just might be coming to a city near you! We have been making millionaires for over 20 years now. Isn’t it time that you get involved with Investors Edge University and watch your income soar? Sending your children to an amazing college? Money to care for aging parents? Vacations only the wealthy can afford to take? What are you waiting for? Opt-in to Investors Edge University and start receiving your FREE STUFF! Heck – you might even become our next millionaire! When two girls knock on a door and a woman answers, she will most likely feel safe because they are all girls. If a man answers, he is likely to feel embarrassed that a woman is trying to help him out of financial trouble. Traditionally men are supposed to be the bread winners. He will still work with two women, but it may take a few minutes to establish rapport. If a girl goes with a guy, whether a man or woman answers it shouldn’t make much difference. When a woman answers, the girl should speak. When a man answers, the guy should speak. Safety shouldn’t be an issue because the woman will feel safe because another woman is there. When a guy goes alone and a woman answers, as long as he keeps his distance from the door, she will probably feel okay. He must keep his hands visible at all times. If a man answers, the two guys will bond. If two guys go together and a woman answers the door, she will be thinking they are there to rob or kill her, not to help her. She’ll feel overwhelmed by two strange men at her door and will not hear a word they say. If you are a two-man team, one can knock on the door, while one waits in the car. Once rapport is established, ask permission to bring your partner to the door. If a man answers, it will be no big deal. www.InvestorsEdgeUniversity.com is always here for you!